Our little ones find their way on the world wide web fast as lightning. Swiping, gaming, searching for their favorite films. Kids know it all. But do they know how to be safe, behave responsible and how to avoid unwanted content? And how do you control what they see? Young children are real adventurers; they discover by doing. That means they do not always understand in advance what will happen when they find their way. Sometimes, as we know, that leads to little problems or painful accidents. Kids learn the hard way. This is the reason for the Media Ukkie Dagen (Media Little Ones Days) that takes place in the Netherlands this week; starting today (6th of April) and end next Friday. These days are organised to help modern families raising kids in the digital era. Find more information about this important event and learn what you can do. Do you know what your little one sees on screen? 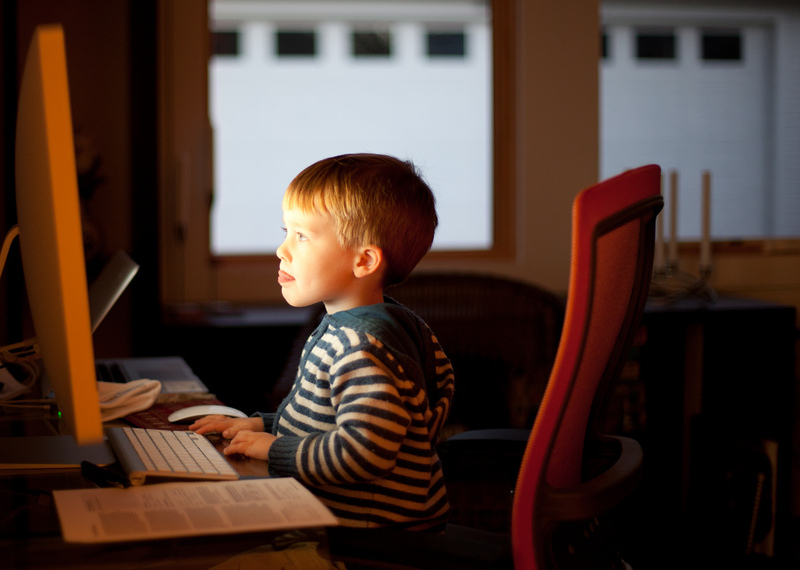 Kids with the age 0-6 spend more than two hours a day with a screen. A third of all parents does not know what their kids watch. Especially concerning YouTube videos their supervision is incomplete. That is what researchers found out in 2017. Kids watch mostly television (82%), followed by tablets (64%) and smartphones (37%). It might sound unbelievable but already 13% of all children between 0-6 have a television in their bedroom. Impressive, isn’t it? Do you think watching clips is informative? New research also shows that many parents raise their kids by misunderstanding. For instance, watching videos independently is not informative, although 45% of all parents think it is. Find out what you can do to help your kids and how you be a smart modern parents. Don’t forget to stimulate your kids in other ways than new media! Modern technology is necessary in our daily lives. But we also want our children to be physically active: to play, be outside, learn sports, explore and have real adventures. As we did when we were young. We know, it is a day-to-day struggle to unplug children from their digital world. But did you know scientific research shows that coloring and sports help kids (and adults) focus and improve self-esteem? Discover how we can help you. This entry was posted in Stories and tagged kids, media, media ukkie dagen, safety, veiligheid.